As European cruising continues to grow, last week saw reports of two orders for new ships for European owners, two rumoured 98,000-tonners from Finland for Germany’s TUI Cruises and a confirmed order from Compagnie du Ponant for another 10,700-tonner, third in a series from Italy. Meanwhile, Canadian operator One Ocean Expeditions is doubling its fleet and will be operating two sister ships from November 2012. In the not so good news category come reports that Spain’s independent Happy Cruises is shutting down and that Cuba Cruise of Toronto has delayed its planned start-up of seven-day cruises from Havana with the Louis Cristal until December 2012. Seeing as Happy Cruises may not now be sending the Gemini to Havana for a second season of Cuban cruises, the timing of the latter announcement seems rather unfortunate, coming as it did only four days before Happy Cruises shut down. TUI Cruises, the German-based joint venture of TUI AG and Royal Caribbean Cruises, has been reported by Seatrade Insider as about to order two newbuldings from the STX Europe shipyard in Turku, Finland. To measure 98,000 tons and have 2,700 lower berths, the ships will reportedly cost €390 million each, with the first to be delivered in 2014. They will probably be named Mein Schiff 3 and Mein Schiff 4. 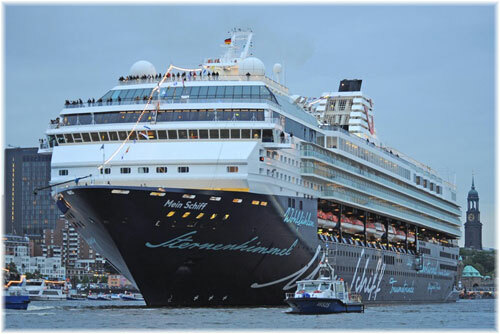 TUI Cruises began operating in the German market in 2009 with Mein Schiff, formerly Celebrity’s Galaxy, and earlier this year added Mein Schiff 2, the former Mercury, both ships of 76,000 tons and 1,940 lower berths. Mein Schiff was renamed Mein Schiff 1 on the arrival of Mein Schiff 2 in May. Neither TUI nor STX would confirm the report last week but the original intention had been to build two ships for the TUI Cruises brand before a shorter term solution was found in acquiring two existing ships from Celebrity Cruises. Both the line’s present ships were built by Meyer Werft in Papenburg and received extensive refurbishments, including the addition of more verandas, before entering service at Lloyd Werft in Bremerhaven. Although STX Turku is building a large ferry for Viking Line, it has been without cruise ship work since delivering the Allure of the Seas last December. Meanwhile, another STX Europe yard, that in St Nazaire, is building the Europa 2 for TUI’s Hapag-Lloyd Cruises division. While the French builds Europa 2 for the Germans, France’s own Compagnie du Ponant has ordered a third ship from Italy in the 264-berth series that began with Le Boreal and L’Austral. 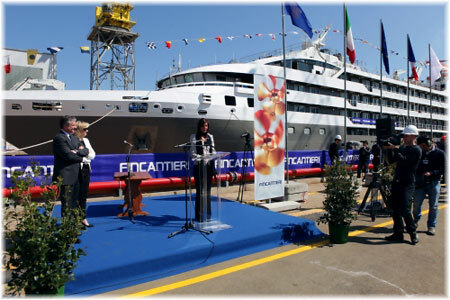 For delivery in June 2013, she will be built at Fincantieri’s Ancona yard, where the first two ships were built. This order is a positive sign that Compagnie du Ponant’s investment strategy and positioning in the market are succeeding. In 2011, Compagnie du Ponant expects to carry more than 20,000 passengers and have a turnover of about €80 million, these results being achieved on a full year of operation for Le Boreal and L’Austral. 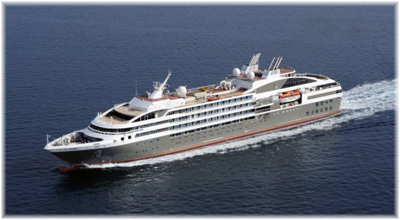 One in two Ponant passengers in 2011 was a new customer, while one in four is a first time cruiser. Customer satisfaction levels are reported at 90% with the new ships and the rate of referral to friends and family is said to be as high as 97%. “For Compagnie du Ponant this order is another step towards the future that validates an effective business model, a good and successful bet,” says Chief Executive Officer, Jean-Emmanuel Sauvée. “In keeping with our concept of cruising, we are again favouring the intimate, friendly environment of a human-size ship, ensuring our passengers receive individual attention and a personalised ‘tailor-made’ service in an outstanding environment,” concludes Véronique Saadé, Deputy Executive Vice-President. As with the first two ships, French designer Jean-Philippe Nuel has been entrusted with the interior design that has contributed so much to the success of Le Boreal and L’Austral. These ships can operate both as ultra-luxury cruise ships and as expedition ships in polar regions. On the expedition side of things, One Ocean Expeditions (OOE)has announced that the highly-regarded Akademik Sergey Vavilov will join her sister ship Akademik Ioffe as its second polar expedition vessel with effect from November 2012. 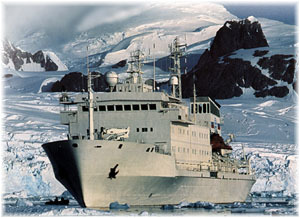 Both ships were built in Finland in the late 1980’s for the Russian Academy of Sciences. 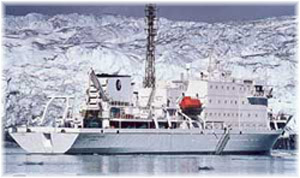 They undertook hydro-acoustic research and are consequently extremely quiet, fast and stable ships, widely acknowledged as among the best expedition vessels for difficult polar waters. Andrew Prossin, who founded OOE in 2006, is a twenty-year veteran of both Antarctic and Arctic expeditions and has worked extensively with both vessels. “This addition to our fleet was both necessary and timely for OOE,” said Prossin. With berths for 105 passengers, but limited by OOE to 92, the Vavilov will initially be deployed in Antarctica, followed by the 2013 summer season in the Arctic. But first, the ship will be extensively refurbished, including redecorated cabins, enhanced, modernised public areas and a wellness centre. The line operated three ships in the 20,000-ton range. The 19,093-ton, 1992-built Gemini was built as Crown Jewel and later traded as Superstar Gemini, while the 22,945-ton, 1970-built Ocean Pearl had been built as Royal Caribbean’s first ship, Song of Norway, and has traded under a number of names since. The Clipper Group of Denmark now owns both ships and their charters were arranged through International Shipping Partners In Miami. The line’s third ship, the 21,884-ton, 1990-built Happy Dolphin, was built in Japan and formerly traded with Germany’s now-defunct Delphin Cruises as its Delphin Voyager. She is now on charter from Greek owners and had only been added to the Happy fleet in May. Happy Cruises had been competing in the Spanish market with Royal Caribbean-owned Pullmantur Cruises and Carnival-owned Iberocruceros and was the only Spanish cruise line that was in a position to send ships to cruise from Cuba. The Gemini will terminate her present voyage in Valencia, the Ocean Pearl in Malaga and the Happy Dolphin in Venice. 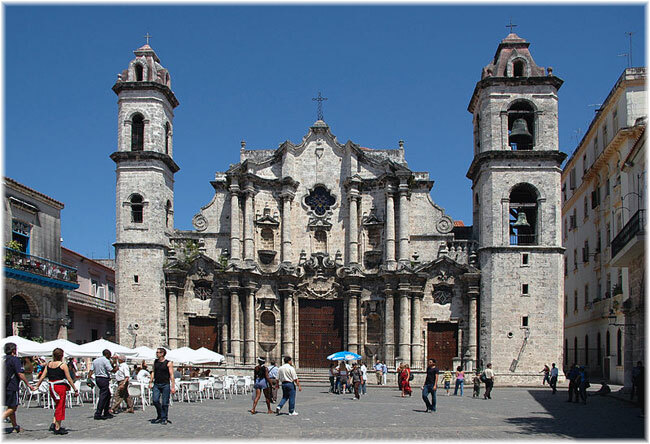 In July the Cruise Examiner outlined plans for a new Toronto-based line called Cuba Cruise to operate weekly Round Cuba cruises from Havana starting on December 4. 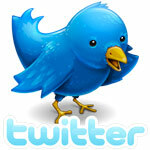 Last week, however, the new operator announced that it would be delaying its start-up by a year until December 2012. The intention had been to charter Louis Cruises’ Louis Cristal for this service. 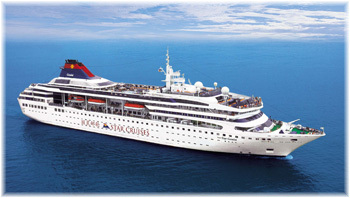 In a statement it said “Cuba Cruise has announced that it will not proceed with planned cruises for the 2011-12 winter season but will postpone the launch to December 2012. 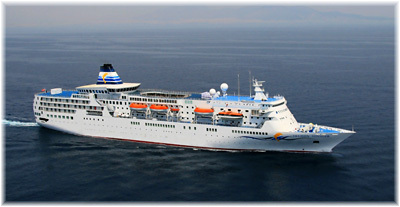 Cuba Cruise was scheduled to commence operations December 4. Although everything was in place for a successful operation and early sales were indicative of strong demand, the company decided that more time was needed to develop sales channels within the travel agent community. This timing seems rather unfortunate now in that Happy Cruises had been planning to send its Gemini to Havana for a second season of Cuba cruises. With the withdrawal of the Louis Cristal as well, this will mean that Havana has lost two-thirds of its planned winter cruise fleet, with operations now restricted to Tropicana Cruises’ little Ariana.